Fear not, blowing bubbles and drooling in babies is perfectly normal! Fear not, drooling in babies is perfectly normal! ​Drooling and blowing bubbles is common in babies during the phase of development when getting what they need is centered on the mouth. This becomes especially apparent at 3 to 6 months of age. The increased flow of saliva that often signals the appearance of a new tooth seems to soothe tender gums; however, if your baby appears to be drooling excessively and looks ill, she may be having trouble swallowing, which requires medical attention. Drooling fulfills several important functions for your baby. Saliva also contains ptyalin, a digestive enzyme that changes starch into sugar. A natural antacid in saliva neutralizes stomach acid and aids digestion. Saliva also protects against tooth decay. 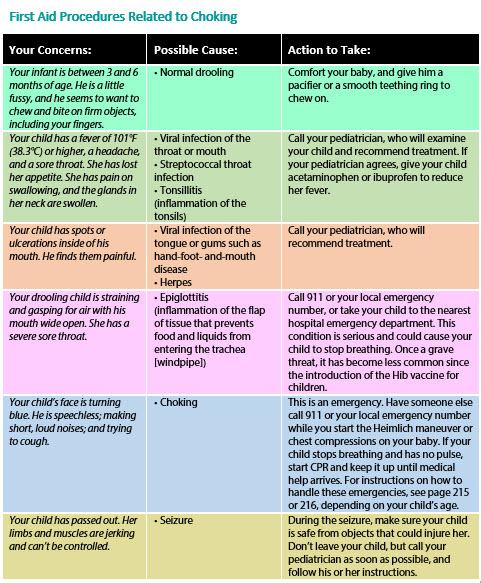 If your child is suddenly drooling, can’t speak, and is having trouble breathing, she may be choking on food or a foreign object. Call 911 or your local emergency number, and while you’re waiting for help, follow the first aid procedures related to choking. << Are Amber Teething Necklaces Safe?